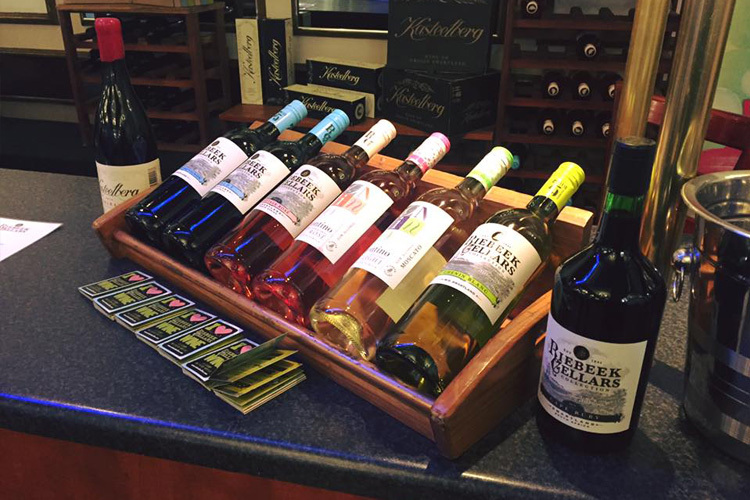 If you’re looking to go on a river cruise in Vanderbijlpark with your friends or family, then the Liquid Lounge is the best choice for you! 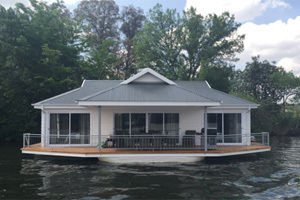 The Liquid Lounge is a luxurious river cruise boat located in Vanderbijlpark, that cruises down a beautiful and calm stretch of the majestic Vaal River. The Liquid Lounge will deliver a spectacular river cruise in Vanderbijlpark for you to experience with your friends and family. You will enjoy breathtaking scenic views, spectacular food and fresh drinks while our staff members ensure that you have everything you need. Our river cruises in Vanderbijlpark are a great idea for weekend outings, providing a fun outdoor alternative to your regular Sunday Lunch activities. 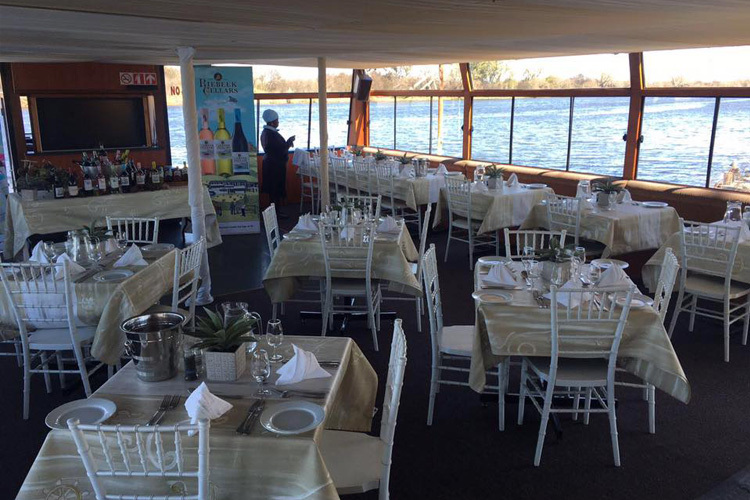 Contact the Liquid Lounge today for more information about our river cruises in Vanderbijlpark, and to book your Sunday Lunch Buffet, party or event aboard this river cruiser in the Vaal Triangle. Looking for something more unique for your Sunday Lunch outing with family or friends? Liquid Lounge has the best option for you – book your Sunday Lunch Buffet aboard our exquisite river cruise boat, that offers a spectacular buffet combined with a relaxing river cruise in Vanderbijlpark. Our lunch buffet spread includes a variety of meats, veggies, salads and starches, cooked to perfection and leaving no tummy unsatisfied. You can also sip on a refreshing cocktail or beverage from our convenient cash bar on deck, while listening to the soothing sounds of the live entertainment. 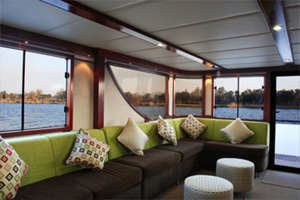 Some Sunday Lunch river cruises in Vanderbijlpark aboard the Liquid Lounge include an enjoyable Wine Tasting event, ideal for a unique Sunday outing on the Vaal River. See our events and calendar to book the Sunday Lunch cruise you desire – remember to book your space early to avoid disappointment! In addition to offering lunch river cruises in the Vaal, the Liquid Lounge doubles as a function venue, and is the perfect venue in Vanderbijlpark for your next private party, function or other social event. 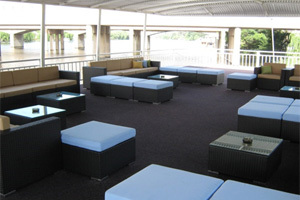 The Liquid Lounge is a popular venue for parties and functions, due to the unique offerings and setting. 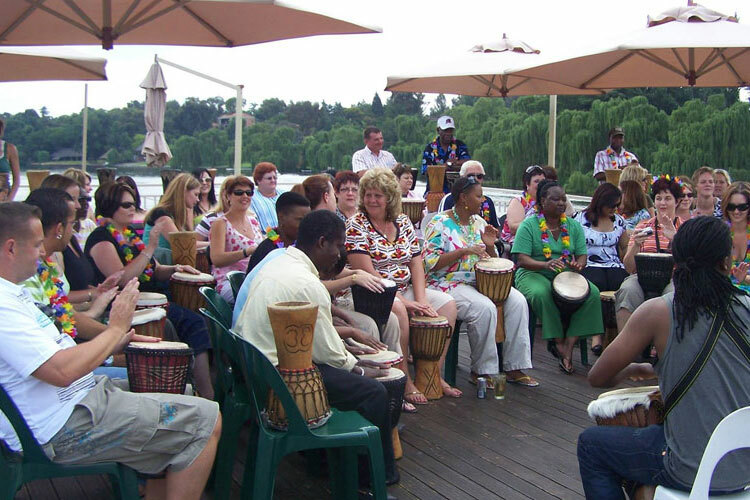 Guests will enjoy a truly memorable event, cruising down the beautiful Vaal River during the event. Should you be interested in booking the Liquid Lounge for your private party, birthday party or other function, contact our team today. 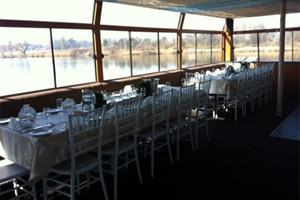 Combining your event with a spectacular river cruise in Vanderbijlpark will ensure a memorable day indeed! Contact Liquid Lounge today for more information about our Sunday Lunch Buffet and function packages available. Join us for the best river cruises in Vanderbijlpark!